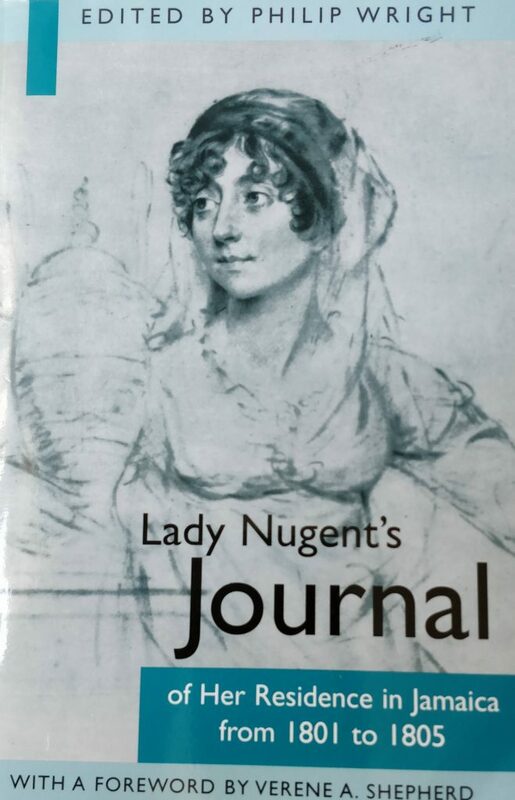 Apart from my direct ancestor, Lady Nugent of Antigua (see Lucretia, Lady Nugent) another Nugent wife established herself in the annals of the Caribbean through her authorship of Lady Nugent’s Journal. Maria Nugent was born Maria Skinner in 1771 at Perth Amboy, New Jersey, the fifth of seven daughters and five sons of Courtlandt, a lawyer, and Elizabeth Skinner. Courtlandt’s father, having been ordained in Britain, became the Rector of Perth Amboy. Maria’s father was in fullness of time Attorney General and Speaker of the Assembly of New Jersey. Little is known of Maria’s early life in New Jersey. 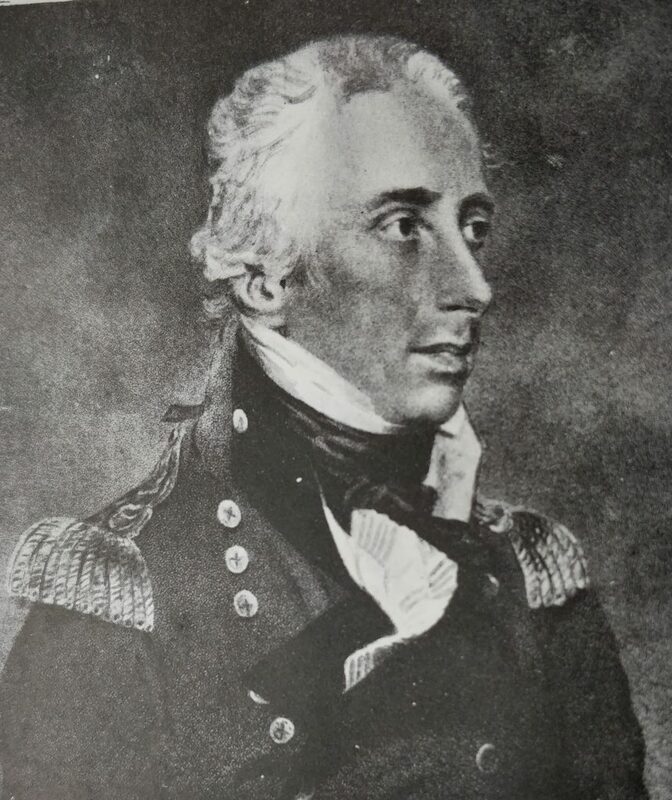 During the American War of Independence, Courtlandt evidently supported the British side. When the war was lost he took his family back to Britain. There, according to a biography (in the Introduction to Lady Nugent’s Journal) “most of his twelve children entered or married into, the British armed forces or other branches of Government service”. It may be that Maria was living in Ireland, where the family owned property, before she married at Belfast in 1797. Her husband, George Nugent, was of Irish descent, his grandfather Robert being an Irish peer who sat in the House of Commons – at this point Ireland and the United Kingdom of England and Scotland were one country. George (born in 1757) had served in the American Independence War so it is possible he first encountered his wife’s family in America. George’s father’s half sister, Mary Elizabeth Nugent, married George Grenville, who was to become the first Marquis of Buckingham, whose seat was the stately home of Stowe. Through his wife he later inherited the title of Earl Nugent. (Buckingham’s aunt had married William Pitt, later prime minister, and the first Earl of Chatham.) 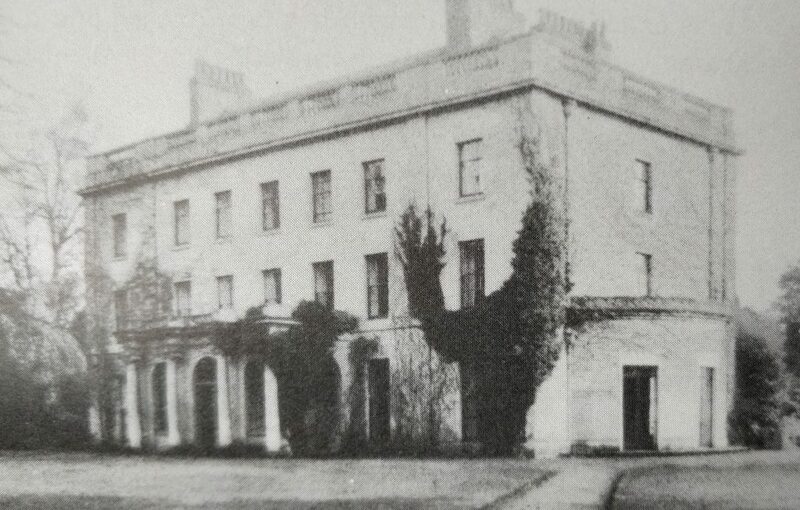 George and Maria Nugent lived at Stowe and enjoyed a close friendship with the Buckinghams. 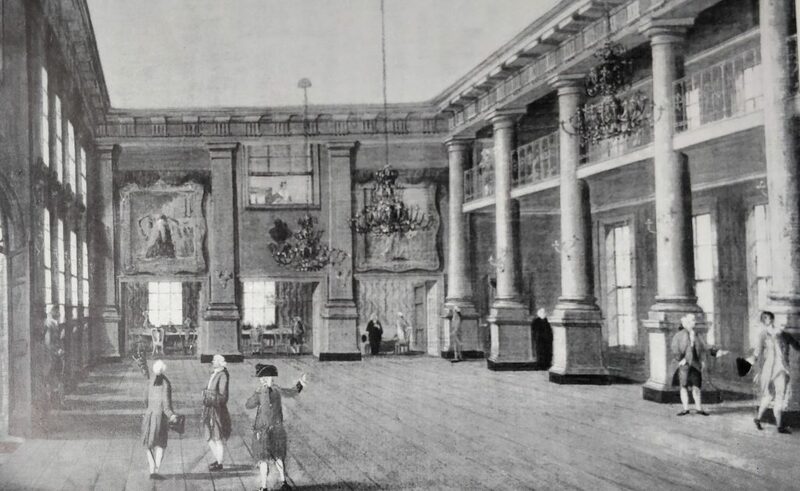 … and its magnificent saloon. Lady Nugent’s Journal, first published in 1839, five years after her death, covers the period of their residence in Jamaica from 1801 to 1805. Later edited editions were published in 1907, 1934, 1939, 1966 and 2002, the last by the University of West Indies Press. Maria found herself at the centre of a slave-owing society about she made careful observations, giving her journal its value as an historical document, especially poignant since this was the era of the Napoleonic Wars. American scholar Lowell J. Ragatz, author of a book on the planter class in the Caribbean, said the Journal gives “an utterly inimitable and imperishable picture of planter society”. Certainly, Maria seems to have made a greater impact on posterity through her writings than George did by his governorship. 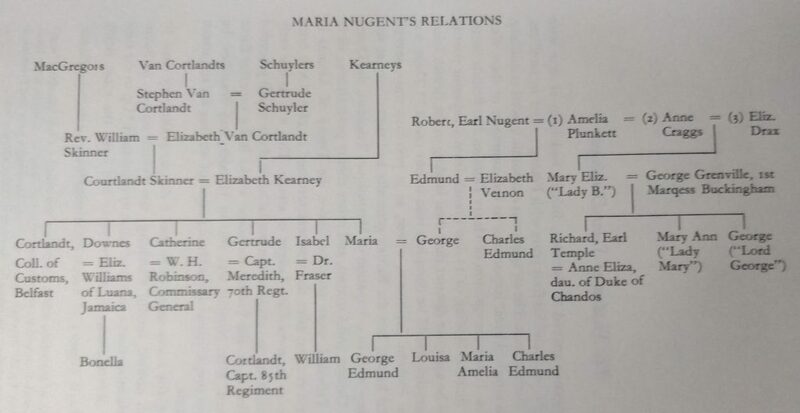 Rather quaintly, Maria calls her husband Nugent or General N. throughout. She was known as Mrs Nugent throughout their time in Jamaica, the baronetcy being bestowed on her husband later. Lady Nugent returned to England in 1805 with her two children, George followed early the following year. Two more children were born there, one of which died in infancy, before in 1811 George Nugent was appointed Commander in Chief of the army in India, to where Maria accompanied him leaving the children in the care of friends at Stowe. 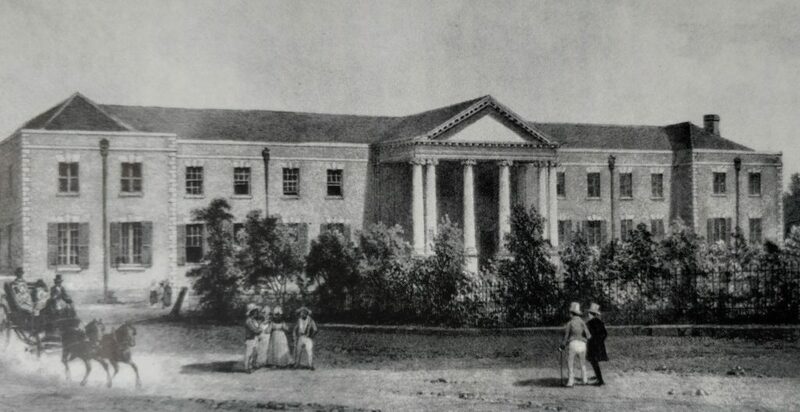 George was to resign resigned in 1813, two days after the arrival in Calcutta of a new Governor-General, Lord Moira. 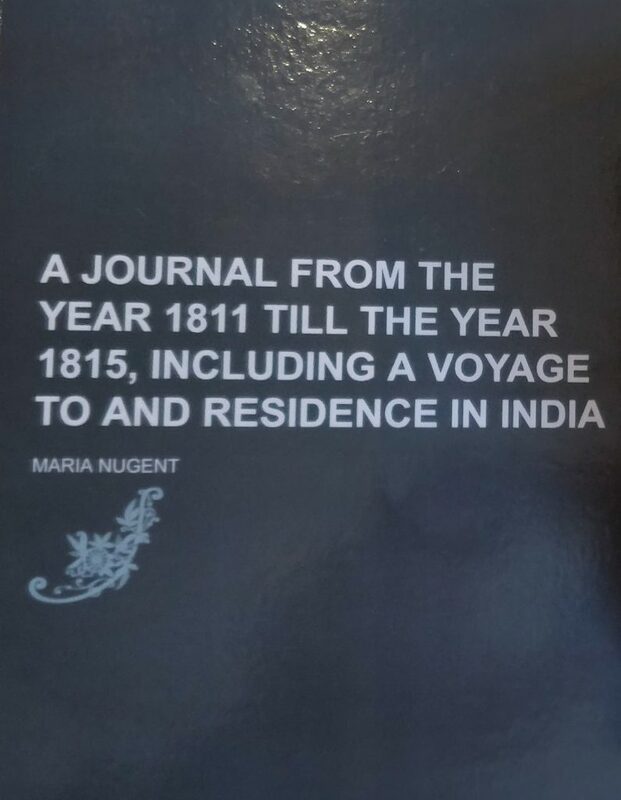 I discovered while preparing this page that Maria Nugent also kept a journal of her time in India, though the privately published and prosaically titled ‘A Journal from the year 1811 till the year 1815, including a voyage to and residence in India’ did not have the same lasting impact as her writing on India. (Interestingly, the 1907 edition of the Jamaican Journal includes entries on her time in India and Britain.) On their return from India in 1815 they called at St Helena and Maria wrote soon afterwards that “Bonaparte is again in France [after his escape from Elba], and all the world is in confusion”. Little did she know that before the year was out Napoleon would be defeated at Waterloo and exiled to the island she had just left, which she described as “a black volcanic mountain, just rising out of the sea”. George had ended his active service with the rank of Field Marshall. They retired to Westhorpe near Marlow and George once again became the MP for Buckingham, a “rotten borough” in the control of the Marquis. Maria died in 1834, George survived another 15 years living his last days at Waddesdon House in the same village. Both are buried in the churchyard at St John the Baptist, Little Marlow, where she was a benefactress as is recorded on a plaque in the church. 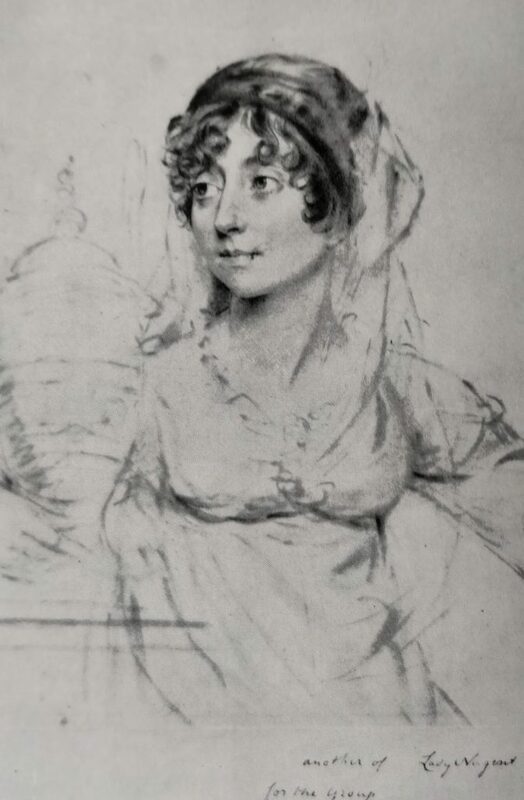 Sources: the story of Maria, Lady Nugent, and all pictures are taken from different editions of Lady Nugent’s Journal of her Residence in Jamaica from 1801 to 1805, including from Philip Wright’s introductory biography. The picture of Lady Nugent is by John Downman. The Napoleon anecdote is taken from her later, unpublished, India journal.